Current offer at the local real estate market – The bigger the offer of comparable properties at the local real estate markets it is the more probable to rent or buy your property for a lower price. Prices may jump in a case that demand of properties becomes higher than the available selling or renting capacities, but this is not so frequent situation in property business. Added value of specific property – Except the usual features that goes with every property, properties may have some extra features such as extra space inside and outside of the building, as well as some luxurious elements, swimming pool, sport area, sauna. Here, we count even the future prospects for chosen place and its surrounding. Big, as well as small investments and developments in the nearest surrounding can have big influence on a price, so we recommend both to buyers, as well as the sellers to pay special attention to this aspect. Preparation and presentation of the property – You can definitely expect to earn more if you make small investments in property that you sell or rent, as in this way all the short comings will stay hided. Small tricks such as painting, cleaning, changing some of the old work wood or a new gate in the yard will improve the first impression and the final price as well. Good location – Good location is one of the best trumps for every property. The price will be higher if property is somewhere near the city center, however you can ask for a good price even if connections are good or there are some of interesting contents, shopping malls or big green areas somewhere near. Additional investment – No matter how high is the price of the property you can ask even bigger price if there is enough space for new investments within the property. Everyone is prepared to pay bigger sum of money for something that will gain in price with next few years. If you are that kind of person that spends a lot of time in their living space and if you look for modern and spacey accommodation, but still unique, functional and not overestimated we recommend top three special apartment offers from the current Real-estate property basis. If you prefer modern minimalist style with a lot of space and not so much furniture we recommend the luxury apartment in Vračar on 165sqm. This specious apartment is located in one of the most popular Belgrade neighborhood and it is fully furnished following the latest design trends. Apartment has three bedrooms and two bathrooms, garage and central city heating. For 1900 € per month you will get comfortable and fully furnished apartment where you can relax and enjoy. As rooms are separated and isolated one from another this apartment is perfect for small families as they can still have their own privacy. In a case that you are more artistic soul and you look for more individual place to live we suggest interesting apartment in New Belgrade. This luxury apartment is one of the most beautiful apartments in our offer. Combination of colors and unique artistic details gives the apartment stunning look that you will fall into. This is single room apartment, however big enough to get all the comfort. In 100 sqm there are one bedroom, bathroom with jacuzzi, separate toilet and big terrace. It is fully furnished and has already installed central city heating, satellite TV, cable system and Internet. Apartment has its own garage and whole monthly rent is 1100€. In Stari grad, the heart of Belgrade, we offer you furnished or unfurnished 100 sqm new apartment, especially interesting for those who like fireplaces. Beside two bedrooms and one bathroom this apartment has big terrace, big wardrobe and its own sauna. For a monthly rent of 1200€ you will get already installed central city heating, air conditioners and satellite, cable TV and Internet system. How technologies and Internet influence real estate business? As in every other sphere rise of technology and the Internet is changing real estate in many aspects too. Real estate agencies are aware that thankful to all present Internet technology customers are becoming more educated why they have to develop complete different approach to property buyers in the sale process. Due to this trend customers are better informed and as that more demanding, especially when it comes to prices and sale and rent conditions. Social networks are becoming the most popular channel for these activities. There people can get here many useful information regarding the properties, they can express their impressions and opinions publicly and to even to publishtheir own buying or selling posts. Property information is available all over the Web in different forms from YouTube videos, blog posts, advertisements in different web pages and online property basis. All of mentioned have made changes even when it comes to the role of real estate agents in today real estate business. Real estate agents are not any more someone who will give you the list with your potential estates, but more to advise you for certain buys and help you with property documentation. In the range of different online property information, you will definitely need someone to filter it out for yourself; however your dream house or office space you will better find alone as you have at the Internet all the insight to different property and certainly more time to devote the search then real estate agents have. But, then you will take a risk of bad investment all alone. Although more educated and with better resources serious clients that want to make good property buywill still decide to get their own real estate representative. No matter of the rise of technology and Internet this is still the saftest and the smartest way if you want to cut the risks of different factors that might appear while choosing or buying your new property, such as loosing a lot of your time, paying extra costs and taking a risk to get into new buying adventure very soon due to very bad choice. What to ask on the second and third viewing of the house? If we have helped you to make the shortest list of your top favorite properties, now is the time to cut this list and to make the last choice. This time we come with the most common questions that you should ask when viewing your property for the second and third time before deciding which one to buy. Most probably you will decide for the property that you wouldn’t have to invest a lot, and we suggest to check more the overall conditions of the building. Much about it you can see, but still there are few more things you should find out from previous owner or a rent agent. Is there any need for additional repairs? How good are roof, isolation, electricity and other installation? Is there any need for changing them soon? How far is the nearest junk yard and is there some of contaminants in the property? In case that you plan to build something more in the yard or at the building check if the property poses the all construction permits and what is the maximum that you can throw out. In order to be sure that you are paying the right price for a property go and check the other houses on sale in a neighborhood, however try to be realistic enough and before put on paper everything that you get with the price of your house. With your agent check once more from when on is the house available. Before signing the agreement check again the status of the property and all previous ownership lists, so that you avoid any further complications with registering the property at your name. there is no need for regrets because you can always sell this house for another one. Don’t forget every house find its buyer! What to ask when buying a house? It is well known that the most of people are learning from their own mistakes, but when buying a house you should probably try to listen the advices from other people in order to escape this kind of experience that can cost a lot. No matter you are buying your house on your own or you have engaged real estate agency, there is a list of questions that we advise you to ask before making the final choice and signing buying agreement. They will help you to make a right choice, but also to escape bigger costs with later renovation and repairs. What are your motives to buy a house? Is this right time of buying it? How big it should be? What are top 5 priorities for your new house in case that you have to choose among buildings that don’t satisfy all your criteria? What is the biggest amount of money you are ready to pay for your new property? And in what cases you will pay more? When the property was built? Does it need some repairs and in what conditions are power line, sewerage system and water supply? Why does the previous owner sell the property? Ask more about the surrounding, where is the closest school/market/bus station? Is somewhere near bigger green area? How is the neighborhood? Is there a lot of noise and how high is the criminal rate? Is there some development plan for future in the area you are viewing the property? How high are running costs and other cost of living (gas, water, electricity etc.)? Is it allowed to build something more around the property and on within it? Does it have all other permissions? At the end you should also find out the price and the availability date as this will influence probably the most at your final buying decision. We hope these questions will help you to make the right choice. Finding a right property for business or living is quite stressful work and can cost you a lot of money if you don’t have right approach. Except not having clear picture what is the type of property we exactly look, for there are 3 the most common mistakes that we make when renting a property. Short period for finding right property – No matter how early you start with search, there is always slight possibility of not having enough time to find the wanted property due to many factors. Real estate agents advice to start this process at least few months before you have planned to move in, and if you have some special requirements about the location and type of property, then even before. You should ave enough time to check the current offer at property market, as well as to see new properties that are coming out every day. This will give you enough time to think patiently and decide for the best ossible offer regarding the sum of money you have planned to pay for a monthly rent. Avoiding to get real estate agent – It is big mistake to think that you will pay less if searching for your new property by your own, instead of paying some money to professional agency with property agents hat will do all renting job instead of you. To make your own property base and to check all of them will take you a lot of time and bring you a lot of stress, and even not to mention all the paper work, hecks of all permits and the conditions of the property. For the most of these things you will need help of an expert and at the end you will give him far more money than you should pay to a real estate agency for whole renting service. Unclear terms and costs – The third reason why you will be safer to get the help of real estate agent is that he will arrange all renting terms and explain to you what is included in monthly rent. This is especially important if you are searching for an office space as all additional costs could be very high and may surprise you when the first bill arrives. Don’t forget to negotiate with the owner or the tenant representative and clear out what the final price include, as well as how high are average costs for electricity, cleaning service of the building and all additional taxes. Even with the best renting agency, renting an apartment will be your responsibility that is why it demands a lot of patience and a lot of cautiousness. By getting the best real estate agency at the market you will save yourself a lot of troubles, but still there are at least 5 more things you should pay special attention when renting a property. Before you even start with looking for an apartment provide any kind of confirmation about your financial ability as this might be the first document your landlord will ask from you. Although he is pretty much secured with the rental agreement, due to bad renting experience not many of landlords will risk again. Make a background check of the owner and previous tenants in order not to be surprised by old bill for gas and electricity, or a damage that you will have to cover instead of your precursor. Pay special attention on rental agreement – Read carefully every line of the rental agreement so that you are familiar with all details concerning the payment practice, expenses included in rent, length of occupancy, apartment rules, and special demands of the owner if exist. Before you sign the agreement you can agree on everything, if there are some things that you cannot agree with. After the paper is signed out it will be definitely too late for any changes. If not planning to live alone in the apartment ask necessarily about the guest and pet policy. These are the most frequent reasons of early termination of a contract, if these things are not clear from the start. Although you can deal about these things verbally always put apartment rules inside of the contract so that you can protect yourself. Ask about termination requirements – Beside details on rental rate and deposit your agreement should contain special apartment rules as well as the termination requirements on the both sides. As this is not your apartment and you will eventually move out from there one day, put on paper when you should notify the owner of moving out, as well as, in what conditions you can terminate the contract and leave out of the apartment without any sanctions. With every year, more office space in offered in Belgrade, but there is a slight difference of the type of the space clients look for lately. Previous years the most of the clients rented office space in big business quarts, however more of them are renting bigger empty apartments for business purposes. Still the most popular business location is New Belgrade, so the most of companies are moving out the city center to this part of the city due to the it’s wideness and enough parking space. When looking for the right business space all the clients have more or less the same demands and the accent is on the good connections with other part of the city, office disposition, enough parking space and good Internet connections. Although in the last years there have been build more than 250 000 km2 of office space all around Belgrade, prices are still very high. Prices vary from 3 euros to 25 euros per m2, and even higher in elite business complexes such as Ušće, whereas for a monthly rent of 200 m2 office space you should single out up to 5500 euros. Generally the most expensive is New Belgrade and small companies have very big problem to find proper office space for a decent prices. 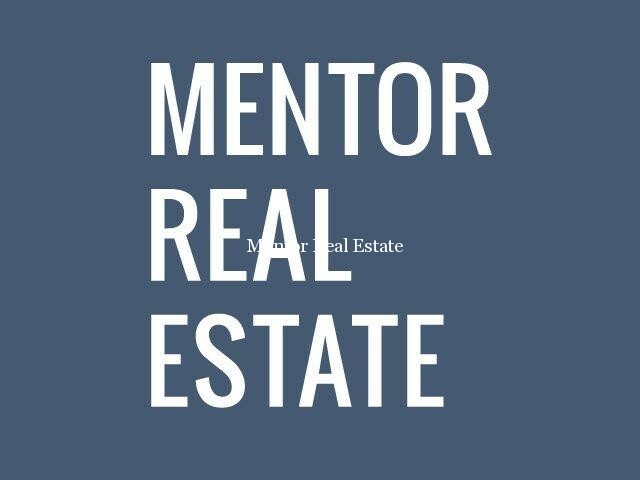 That is why Mentor Real Estate came out with the most favorable offers of the office space houses that are not far away from city center. In the quite neighborhoods and within spacious buildings, for the same amount of money you will find even bigger property and with better conditions for your employees. For the most 10 euros per m2 you will get the most modern, empty and fully equipped office space, with your own parking space in the most luxurious parts of Belgrade. 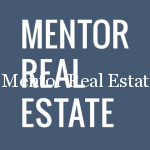 Check out the best Mentor Real Estate office space offers. It is not always easy to find the most reliable and the most devoted real estate agents. Part these qualities you should insist on their efficiency and experience too, but these are not only qualities you should look for. The more qualities they have, the better service you will get. For years now we have been carefully searching for the best qualified agents in property business and we are more than proud on a team that is able to guarantee you the best service and the best property offers all around Belgrade, no matter you are looking for a new apartment or the new office for your business. Because our agents listen and respect all client’s needs. Because you can be sure that you will get the best property for the price you pay. Because our agents will devote to you 100%, until you find the property you were exactly looking for. Because they are available 24 hours, 7 days a week. Because you will get answers on your all questions. Because they take care about your budget. Because our property base is very carefully built, with the best quality properties. Because they will arrange and check all the property documentation. Because you can be sure all our properties are legally built and that they have all necessary permits. Because they will give you the best offer that you will be definitely satisfied. Search the basis of our top properties chosen among hundreds of houses and apartments that are now in our property basis. We have the most luxuries properties in the most popular parts of Belgrade, and if you have some special wish about location and special characteristics of the property our agents will give their best to find it in the shortest period, even if such a building is not already in our basis. How to find the best property for your business? Finding a perfect property for your business is usually demanding task that can take you even few months. As with every other property it is important to clear what exactly you need and how much money do you want to single out in this purpose. Regardless the budget there are few criteria that every business place has to satisfy and we are bringing some of them. The first and most important thing is to find spacious and good structured business place that will fit the size of the business and the number of employees in your company. You should have a lot of light and a lot of space to place all the furniture and additional equipment. Good, easy accessible location, near station for public transportation would be useful, equally for your employees as well as for future clients. Due to transportation your new office should have enough parking place for your employees and clients or you should look for a building that is near public parking. It doesn’t have to be in the city center; however you shouldn’t look for the office place at the outermost suburbs of the town. Having office at the suburbs may cut your costs for a double but you need to have in mind that the most of your employees will come to job every day and even clients won’t be thrilled with this idea. Good location includes food places nearby, bank or cashier, as well as some coffee shop and market. Pretty much the same as other properties your office building needs to be located in calm and safe place, because of your clients and employees. If getting the office in business quart than check what are the companies in the neighborhood, what services do they cover and how much noise they make during day. Once you have found right property don’t forget to make all additional checking concerning the structure of building, permits, insurance and security, as once you move it will be too late and too expensive to deal with this. In case that you don’t have so much time to search for office property, we suggest you to take professional help of one of our agents, as your decision will defiantly affect more people. That’s why take enough time and look very carefully! Urban and fast-growing Belgrade is becoming one of the most attractive cities to live among all Europeans. Foreigners that come here particularly like its spirit and culture, and the one that are born in Belgrade simply cannot live without his streets, parks, coasts and strange combination of disorder and relaxing atmosphere. What are 5 top places to live in Belgrade? And although every of 17 municipalities are special about something and have a lot of interesting to offer to their inhabitants, on the list of the top places for living in Belgrade the most of the people single out next five. Stari grad – Everyone like to be in the center of happening. Sometimes it can be a devastating if having in mind big crowds and every day chaos in traffic. However, Stari grad has all of that but it is not irritating at all. Stari grad is your perfect combination of old and modern in one place, for the ones that enjoy in the old down town atmosphere but equally addicted to modern living habits. In your neighborhood you can enjoy in medieval Kalemegdan, bohemian quart Skadarlija, as well as the best stores with the world’s famous brands and top restaurants, cafes and night clubs. Novi Beograd is new, modern and urbanized part of the city that lies between Sava and Danube rivers surrounded with one of the most beautiful promenades for all of you that enjoy long walks or romantic moments on a bench next to the water. New Belgrade is fast growing part of a city, divided into blocks consisting mainly from high buildings, that has everything you need for calm family life, with wide choice of after job activates, as well as for the exciting Saturday evening out. Except for the biggest shopping malls, this part of Belgrade is very famous about many nightclubs housed on both rivers that still guarantee the best parties in a region. Vračar is the second from three central Belgrade municipalizes is famous about narrow crossed streets and one of the biggest and the most beautiful temple at the Balkans – Saint Sava Temple. Here is located one of the most famous markets in Belgrade, Kalenić market, as well as, Flower square with plenty of beautiful buildings and old small houses. Senjak and Dedinje are famous about its villas and luxury houses. Located on a few kilometers out of city center they became particularly popular among higher class and considered to be the wealthiest neighborhoods in Belgrade. For all of you that like to enjoy in peace, surrounded with greens these are perfect quarts to look a new property. How to find the best place for living? Choosing the best place for living is not always very easy decision to make as we need to have in mind many factors that will make your living easier and more enjoyable. Even when you already have some options to choose among, choosing the right one might be difficult. But what should you do when you don’t have few options to choose from? What to do when searching for these options? How to find the best place for living? Some would say this is pretty much personal thing, depending on a tempo and style of living. However there are few factors that usually increase the price with every property and are equally important for every client, no matter the age, occupation or marriage status. Among the first factors at all lists is relationship between cost of living and salary rates as this is the key for having a good quality life, and in a case your choice is already city that fulfills this condition next thing to pay attention to is good location and good neighborhood. Your new living place should be relatively close to center city and with good connections with other parts of a city, so that it is easy to reach the center in a few minutes and in the same far enough to escape chaos and crowd. Calm neighborhood includes low criminal rates and you should be careful with this if you are moving to the capital or bigger cities that are not always easy to control and protect. Further on, this quiet place should have a lot of parks and green life and if possible some recreation center in a nearest surrounding. Wide pavements for long walks, enough parking place if you are about to buy apartment without garage are also things to take care when making decision about your new living place. At the end, no matter if you still don’t have your own family and you maybe don’t even plan to have it soon it won’t harm to have school and kindergarten somewhere near and it should be one of the best in town, as it is a dream of every parent that his child goes to school with the best reputation and the best teachers. Once you have a family and a lot of obligations you will be more than satisfied that you have this kind of school just in the neighborhood. It stretches at the confluence of the Sava and Danube rivers with 11 bridges and the most beautiful walks all along the river coast. It is developing city with big modern business zones located mainly in Novi Beograd. It is famous about vibrant nightlife and on tenths of nightclubs housed on rivers opened from late in the night until early morning hours. It is full with forests and green neighborhoods such as Dedinje, Košutnjak, Senjak or Banjica where you will find enough space for playing with your children and sport recreation. Belgrade has the most prestigious parts of town with luxury villas and imposing houses. In our property basis you can take a look to some of them. Belgrade has the best choice of restaurants with delicious traditional food and homemade plum brandy – Slivovitsa. It still preserves the look of an old historic town with unique buildings that still enriches Belgrade with variety of architecture styles and makes it unique in whole region. Belgrade has the most beautiful old buildings, historical monuments and medieval fortress ‘’Kalemegdan’’ with the most beautiful city’s park and the amazing view to confluence of the Sava and Danube rivers. It has ’’Ada’’ river island located in the Sava River’s just few minutes of a drive from a city center. It is more famous as ’’Belgrade’s Sea’’, big recreational zone famous about sport activities, beaches and bars just next to the water. Belgrade organize the biggest Southeastern Europe’s beer festival and on hundreds of other movie, music festivals during all year. Belgrade has BIGZ – the coolest arts space is in Europe located in Belgrade neighborhood called Senjak. Lately even Belgrade has big and very modern shopping malls with the world’s top famous brands. How to choose good real estate agency? You are thinking to change your living place, however you are not so brave to start searching the right replacement. Without good real estate partner this search can be very long and stressful, so read a few useful advises how to find good agency that will help you to find you dream house, as soon as possible. Despite experience in property business and good reference list that are key factors for the reputation of your real estate agency, there are at least three more things you should ask for when making contact with them. These three factors will help you choose real estate agency that will give you highly professional and the most satisfying service. At first place real estate agency should have a good property basis, so you can actually have wide choice of different houses and buildings. It won’t just be easier to choose the right place for you if having a good choice, this will also help you estimate the real price by comparing the look, the structure, the construction and location of these properties. You should also look for the agency that has a lot of work, to look for the agents that are busy, as this says a lot about their engagement and quality. Don’t be afraid, they will find enough time to devote to you as much as to the other clients, but wanted agents are usually the most capable and highly experienced, so they will have the solution for your every demand. And the last, look for the real estate agency that have closed many of properties. Good offer and big demand says much about their sale/rent realisation. If you have opportunity, choose top three real estate agencies that have best percentage of closed property lately and don’t forget to ask them for terms and condition too, as this can be the most important reason why their realisation is so good or surprisingly bad.